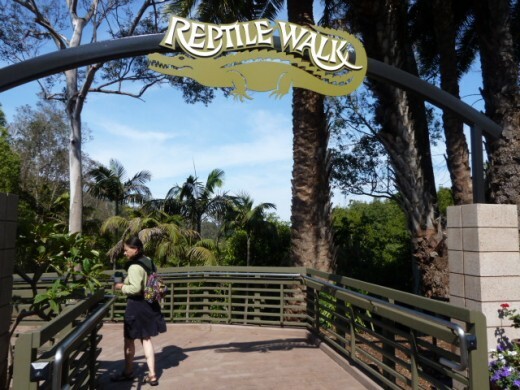 The Reptile Walk, San Diego Zoo’s fancy digs for its slithering residents, consists three separate structures housing turtles, amphibians and snakes native to California – including the longest gopher snake you’re likely to have ever seen! 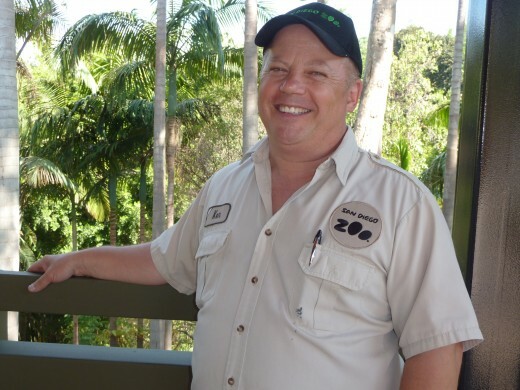 Reptiles live on all continents except Antarctica – and the Zoo’s new exhibit accommodates more than 50 species. Visitors can see a pair of critically endangered Chinese alligators meandering around an open-air pool. They’re the smallest of alligator species – only about four feet long. They’re also among the rarest: Only about 100 are left in the wild, Morgan said. 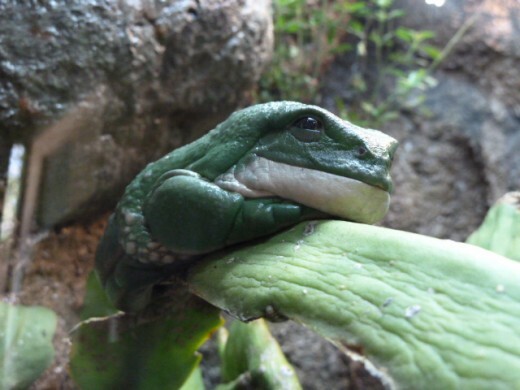 Check out an emerald tree boa from South America, a spiky giant horned lizard from Mexico and a Mexican giant tree frog. Search for mata – mata turtles that masquerade as leaves – and be wowed by others with long snake-like necks. San Diego has more biodiversity than any other county in North America – so plenty of slithering stars are exhibited in the California Native Species building. If you like the colorful banded San Diego mountain kingsnake, you’ll love the two-headed California kingsnake. At feeding time, one head gets covered with a hood while the other is fed; it keeps the two heads from fighting and injuring each other. 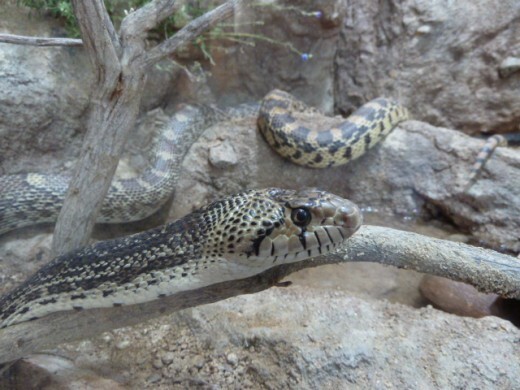 Visitors won’t find any venomous snakes in the new reptile exhibit. To find rattlers, head to Elephant Odyssey; rattlesnakes are housed there, near the condors.